We just had the most wonderful communal seder, over 90 of us gathered last Saturday night. 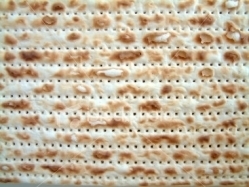 But Pesach is not just Seder, it continues as the festival that reminds, even insists on freedom as the gift that can permeate life. Sigmund Freud, avowedly secular yet speaks to Judaism often, wrote Most people do not really want freedom, because freedom involves responsibility, and most people are frightened of responsibility. Many of us, if asked, might say we feel free. Yet, we have just witnessed another attack in a place of worship, three churches and nearby hotels in Sri Lanka. Responsibility for the deaths claimed by an Islamicist group. Apparently in retaliation for the attack in Christchurch, New Zealand. I am not sure what we do with the reality of another sacred space, a church this time being the target of attacks. Places of worship have always been understood as sanctuaries. And now they are no longer safe sanctuaries; whether there is security at the gate or not. We are not immune to the fear or the outrage these attacks provoke. Our heart breaks for the 300 killed and the devastation wreaked on their families. We are committed to integrating the world outside of our synagogue into our religious practice. And we know Freud was right. Judaism at its best wakes us and offers a filter to negotiate the world. To be involved and engaged in the world feels ever more critical and necessary when we learn of these brutalities. Our faith, our community may become ever more relevant at these times as we negotiate what being in our places of worship means. This Wednesday (April 24), tonight, we feedback with other Barnet institutions on our listening campaign and the practical applications of the concerns that have emerged for life in London and our fellow Londoners. Join us if you can and are interested at Finchley Reform Synagogue 7.30pm. And then Thursday for the last night of Pesach’s service at 7pm before learning with Lionel Lassman on The Jews of Azerbaijan. Service and discussion Friday 11am. Today is the 4th day of the OMER. As we mark these days of Omar and move to the end of Pesach lets do so together. We recently welcomed a school visit to the synagogue. I enjoy asking the children questions that make their teachers squirm, like "do you think I look Jewish?". It is enormous fun watching the 4 and 5 year olds look me up and down thoughtfully while their teachers look on in horror wondering what might come out of their mouths. It is, usually, harmless nonsense - I don't look Jewish (almost always the answer) because I am not a boy, because I am not wearing a hat, because I am white(! ), because I don't have big enough eyebrows. A useful and efficient way to identify and quash stereotypes! With our littlest guests I ask them where they keep their most special things. Usually shells and stones they pick up. They keep them wrapped safely in fabric or tissue in a special box. This is how I introduce our Torah; something special wrapped safely in fabric in a special box (or cupboard!). It's with this in mind that I looked on in horror at the photos of the Notre-Dame fire. We know something is special because it is kept somewhere special - and it was so clear that Notre-Dame was that place for so many Catholics, so many French people, and indeed people across the world. We must be grateful that no-one was hurt, grateful for the bravery of our firefighters, and hope that in a time of such division our appreciation of Notre-Dame's beauty, our acknowledgement of its place within our history, and our wish for restoration unites us - if only for a moment. One is supposed to think about Passover at least two weeks ahead of time. A friend shared this from her Seder sourcebook; You cannot just walk into a major life transformational experience like a seder -where you discover your every essence as a human and a jew -with no preparation. Last week at Kiddush I was shown one congregant’s choice of Haggadah for seder, it was a family decision, he and his father had discussed using a new creative one for this year, this moment, this time. Nisan, the new month began last Shabbat. The Torah calls it Hodesh HaRishon, the first month for Israelites as a free people. It begins the calendar year, it is full of possibility and newness. Every other month comes behind it. So the Seder offers us that renewal and refreshing of ourselves. We look always for ways to refresh and amplify this story of liberation that stands at the centre of our Jewishness. The recollection of trouble and then escape, moving into gratitude. This is at the heart even of keeping Shabbat (so Deuteronomy’s version of 10 sayings remind). Pesach is one of the three pilgrim festivals -foot festivals-without the temple what do we make of the movement and journey that Pesach, Sukkot and Shavuot ask for? Mitzrayim, always translated as narrow place, the straits, offers as always a symbolic place from which to move as well as the ‘historical’ land. For Seder to capture our imaginations and hearts we work hard to bring ourselves into this story. Start thinking, attending and preparing for this. We Liberals have always have an ambivalent relationship with Purim, the ’season of levity’ as Rabbi John Rayner called it. The flamboyant violence offended early Liberals. We now engage in Megillah reading (a slightly edited, less excessive version) and generally a festive Spiel and costume party. Hadas Esther’s Hebrew name means hidden. God is absent entirely from the Megillah of Esther. It makes for an interesting holiday. Truthfully whatever our feelings about Purim and remembering former oppression, we would all agree that memories make up our Jewish life and experience. Our Jewish memories are often those most exuberant like. Purim and those most filled with joy. We know the community thrives on these as well as us personally. We appreciate all those who continually contribute to synagogue life and make it thrive. As March is Free Wills Month. https://www.ageuk.org.uk/get-involved/donate/leave-legacy/free-wills-month/ it seems appropriate to ask you to consider remembering FPS in that way. I couldn’t resist thinking of the synagogue. All we do and all we need. 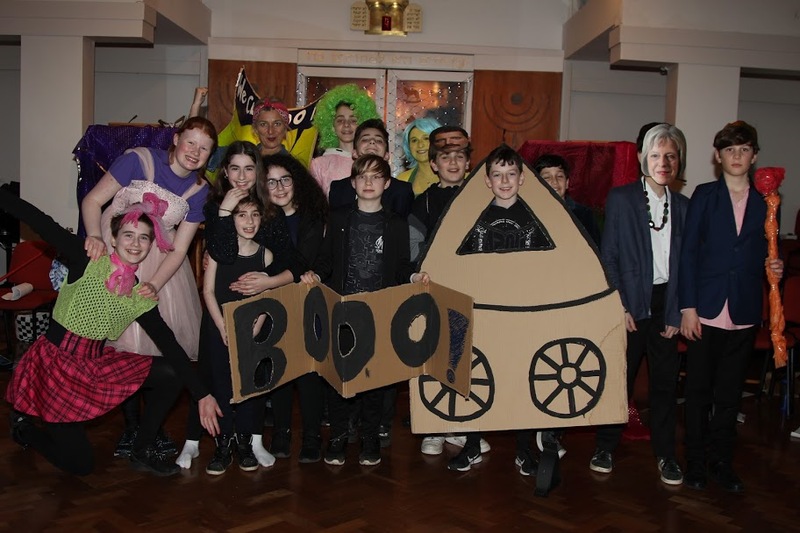 Shabbat Shalom and looking forward to seeing those who do Purim next Wednesday at 6.30pm with a Tot tea at 5.30pm for Tots, parents and grandparents. I began my week at the Home Office. Our MP Mike Freer had arranged a meeting with Caroline Nokes MP, Immigration Minister, for me and two other Barnet rabbis. Finding a slot has not been easy. Along with Citizens UK we asked Barnet to take in 30 children over 10 years along with every Local Authority across the UK. Richard Cornelius, leader of Barnet Council agreed as long as they receive funding. At the meeting we discussed how we and the Minister's office can support central and local government attempts to fulfill this promise. It was good to hear from her that she uses Barnet as an example of good practice in settling refugees, and understands we along with Lord Alf Dubs and Safe Passage are asking for more. In these tense Brexit times she told us a poll revealed attitudes to immigrants and those seeking refuge has improved these past two years. I found that intriguing. I reflected on the challenge we have as engaged citizens. We want to bring about justice and push for saving lives and yet we also understand the practical restrictions that dictate who can be cared for and where Barnet Council’s resources go. It is good that we are part of the conversation. The Book of Exodus finishes this Shabbat with the wonderful image of the Community of Israel being guided and directed by the Pillar of Cloud by Day and Fire by Night to keep them on track and on route. We want that in our lives. We want to hold it all, balancing the needs of ourselves and those in our families - feeding and caring for those we love, supporting those who are in hard times, earning a living, finding the potential spiritual (and intellectual) nourishment in our synagogue – with those in wider society. Should we be marching in the street or continuing with focus on ourselves? Finding our place and our direction in how we use our time is paramount for a good life. When we finish a book of Torah we say 'Chazak Chazak V’NitChazek' 'Strength, Strength Let Us Be Strengthened'. Let that be so for each one of us. 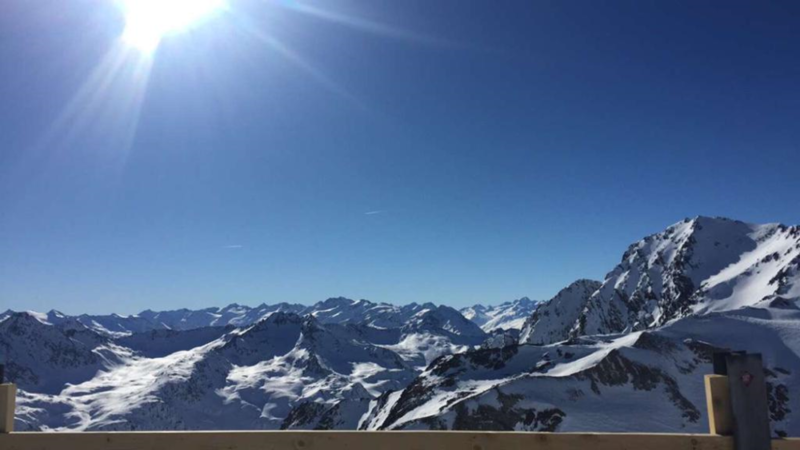 I was on a mountain last week when I heard Austrian Radio broadcast Luciana Berger’s resignation speech. It was quite something, hearing her words in that context, in Austria. Whatever we are thinking right now, in this decidedly fractured place, Tom Watson’s words are important for all of us to hear, whether or not we are members and supporters of the Labour Party. Last week Liberal Judaism held its first Hot Potatoes evening on issues of tension and passion. They began with Jews and the Labour Party. Talking in our communities remains critical. "Vayakhel Moshe Kol Adat B’nei Yisrael" Moses gathered the whole community together at the start of Parashat Va-yakheil. As we survey the scene around us, it’s not unity we are aiming for in the Jewish community, or ours in FPS for that matter, it’s the ability to gather and talk and listen. In this week’s portion, Moses gets some info from God (I’m paraphrasing somewhat). When Moses comes back down the mountain, they say his face is radiant. While it might be simplistic, surely it’s true – we should be doing more things that make us feel radiant. And I know, life doesn’t work that way; rent needs to be paid and dishwashers need to be unloaded but despite that, we can still prioritise our limited free time by asking what makes us feel radiant. I could spend my time sorting my emails and there would be some happiness at seeing an empty inbox. But, would it make me feel radiant? Probably not. It might become my new mantra: does it make me feel radiant? [For your information, hugging cats: yes, surfing: yes, picnics: yes, dishwasher loading: no]. I hope you enjoy this week, especially if it’s half term, and I hope your activities, encounters and experiences bring radiance to your face. Rabbi Dr Arthur Green, a brilliant philosopher and theologian, opens his book Radical Judaism with this assertion: "As a religious person I believe that the evolution of species is the greatest sacred drama of all time. It is a tale - perhaps even the tale - in which the divine waits to be discovered. It dwarfs all other narratives, memories and images…." I love this and will reveal more of his radical thinking at Beit Midrash this week. Creating our own sense of science, God and Judaism is the work of our lives. Probably. So why not jettison Valentine’s Day (which is not Jewish at all*) on Thursday evening? Instead join us for our conversation about God [and that kind of love] and where it fits into our contemporary Jewish lives and experiences. This Thursday we will also be joined by Rabbi Lea Muhlstein as we discuss Liberal Judaism’s draft siddur and the language of love in that! Wishing you Shabbat Shalom. I shall be away all of next week for school half term holidays but look forward to seeing everyone on my return. There are many ways to build a synagogue. One is, of course, as our Portion this week details, T'rumah, the wood and details used for an altar and a sanctuary. One, that is so much harder to gauge and design is the mood, intention and vision of a synagogue community. Gazing on our ark as we do every shabbat, the physical details of our sanctuary and its power to uplift and concentrate the mind is important. So is what we do inside and with our community. This week is our Listening Campaign. This is an opportunity to talk about issues that concern fellow Londoners, possibly us. We will take every opportunity this week and coming Shabbat to listen to each other and form a sense of what matters most to us as a congregation right now. We hope to bring those concerns to the Mayoral Assembly 2020 and this is the start of gauging what matters to us, what we care most about. Siddur Lev Chadash contains these words 'May the door of this synagogue be narrow enough to shut out pettiness and pride, envy and enmity…. May this Synagogue be, for all who enter, the doorway leading to a richer and more meaningful life.' (Mishkan Tefillah). Please join us particularly at Learn at 12 noon on Thursday and/or Shabbat services and Cafe Ivriah this weekend to talk and listen and combine the beautifying of our sanctuary with those of our hearts as well. We have always marked Holocaust Memorial Day for the wider community. This year #We Remember we are so proud to welcome Derek Niemann, author of A Nazi in the Family and his discovery of his grandfather’s Nazi role and his grandmother’s resistance to it. His extraordinary story is so relevant today in the conversations of bystander resister and family loyalty. Derek wrote this book, a huge departure from his usual nature writing, because he felt he had to. As Noemie Lopian, child of a survivor, wrote: "At the end of the day we are all, in inverted commas, ordinary human beings," she said, "And we all have a choice. We all have the ability to do evil." I do hope you will join us for this shared event with Finchley Reform Synagogue. this Thursday, starting at 7.30 pm (refreshments from 7.00). This Shabbat sees the beginning of our Listening Project; opportunities to talk and listen to each other about these following issues and how they are affecting Londoners. Our part in anticipating the next Mayoral election is important. Tamara Joseph will lead the Cafe Ivriah session on Shabbat morning at 9.45 am (full information below) and all are welcome. Shabbat Shalom and looking forward to seeing you. Just a few of the texts we will be looking at on Thursday night’s session Are Human Rights Jewish? I think they may be comforting and challenging depending where you are coming from. No doubt we all think about this a great deal. Where does our Jewishness call us to be in terms of dignity for every person? It will be an interesting conversation days after the moving burial last Sunday of the remains of 6 Jewish souls murdered at Auschwitz and given the dignified end they were denied in life and death. And days before our commemoration of Holocaust Memorial Day 2019. I look forward to seeing you join us. This past week has been a trying one for FPS. We have buried two beloved members, who were both regular and important presences for so many of us; David Kahan who lived a long and good life, and Howard Hamerton, who also did so, but was cut in his prime and died a young man with a youthful family. Come join us, if you can, for this Shabbat and our creative Tu B’Shevat Seder that will look particularly at trees, nature and how it impacts our lives as humans. Our Listening Week begins at the very start of February please look out for the posters and reminders. Hearing each other and what our concerns are for the London in which we live is part of being a congregation. 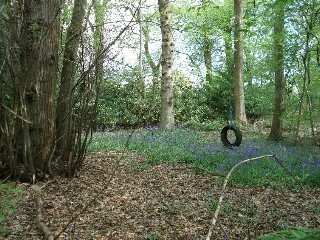 *The photo is of Katherine Klinger's woodlands on the day we visited for Lag B'Omer two years ago. 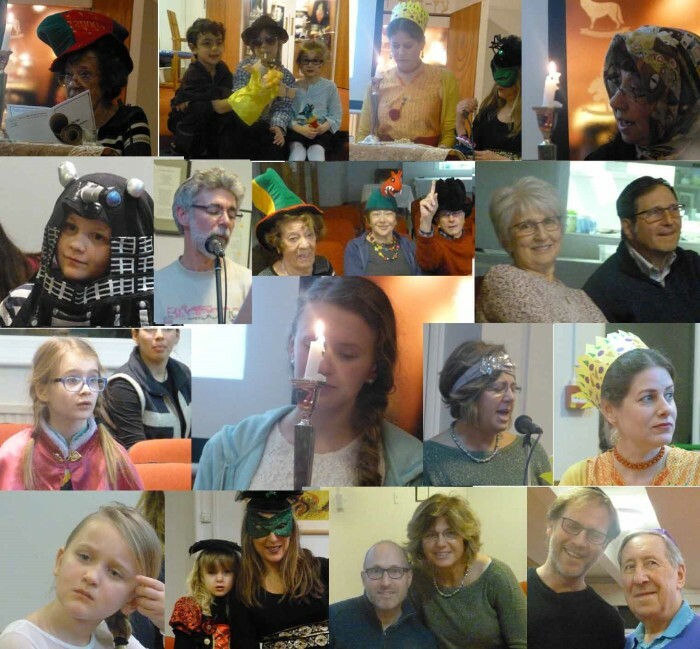 Mental Health Shabbat was created by JAMI to raise consciousness of the spectrum we are all on when it comes to our mental health and the darkness we may feel at times. I joined their HEAD ON panel last night at JW3. Judaism has a long history of heroes with depression, darkness and anxiety. Think Jonah, Saul and Rebekah, all plagued by an internal existential angst. Even paranoia in the case of Jonah and Saul. Remember Rebekah’s cry “If this is it why do I exist?” I embroidered those words on the atarah of my first tallit. It was to be a reminder for those dark days that come when one is least expecting. We have never favoured squeaky clean role models. Our job is to develop resilience alongside vulnerability. Over the next two weeks please look out for our Mental Health Shabbat. Next week 19th January we will mark it alongside Tu B’Shevat (New Year for Trees) and the undeniable link between healthy souls and nature. When young people especially are suffering from a world that is too much, too many, too loud – never before have we needed Tu B’shvat more. And at FPS, on the 1st-10th February, we are going to listen. About many things that bother us, in the world of concrete and in the world of trees, and one of them is the mental health of the people around us in the hope that we can make the change. Grant me the ability to be alone; may it be my custom to go outdoors each day among the trees and grass - among all growing things and there may I be alone, and enter into prayer, to talk with the One to whom I belong. May I express there everything in my heart, and may all the foliage of the field - all grasses, trees, and plants - awake at my coming, to send the powers of their life into the words of my prayer so that my prayer and speech are made whole through the life and spirit of all growing things, which are made as one by their transcendent Source…..